Not very many take the route to build up a naturally aspirated engine. The costs are very high and can easily exceed a “simplistic” approach of adding forced induction. It takes calculated and smart decisions to maximize the airflow through an NA engine. This example pays great attention to detail and no skimping on the parts. 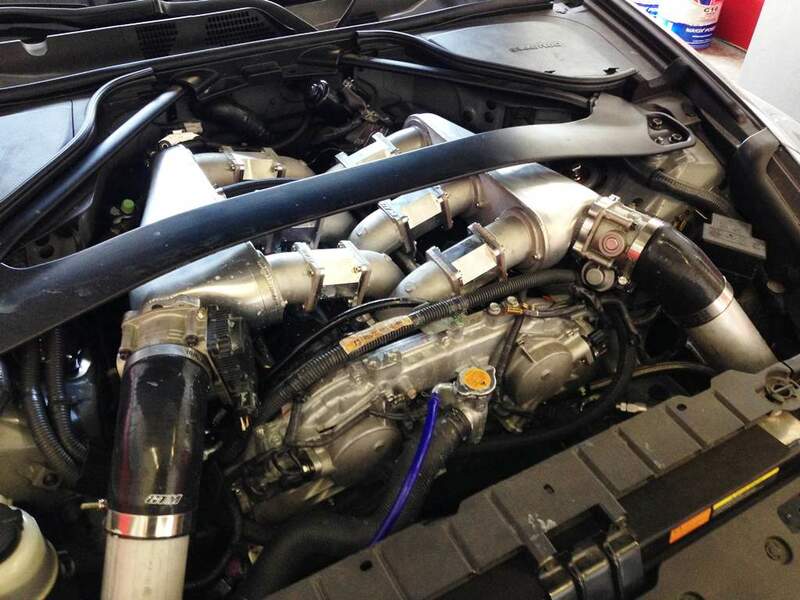 3″ intake piping and of course the most obvious a different intake manifold utilizing Z33 throttle bodies. The manifold as it was underway at GTM. 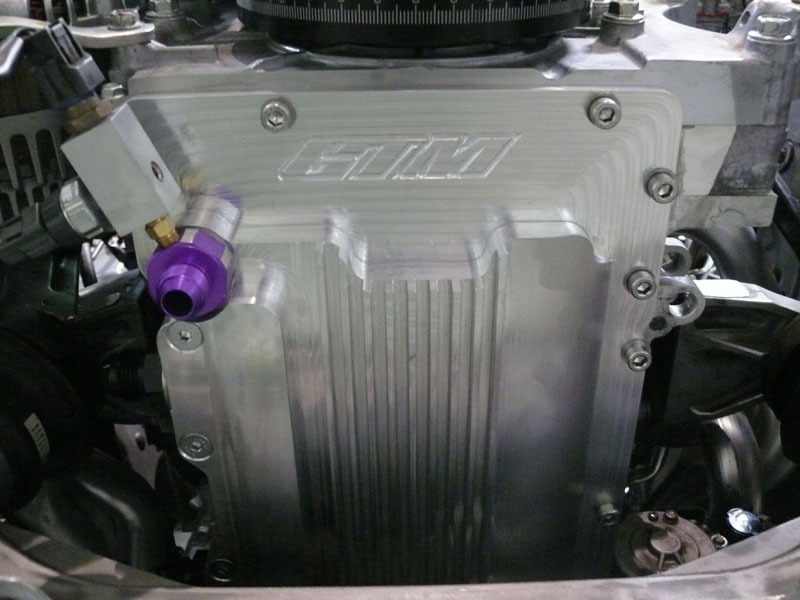 The “collector” pays great attention to maximizing equal airflow to all cylinders and increasing displacement. GTM Dry Sump “Oil” Pan, yes this engine also has a dry sump system! The main engine modifications are JUN 11mm lift exhaust cams that feature a 282 duration. 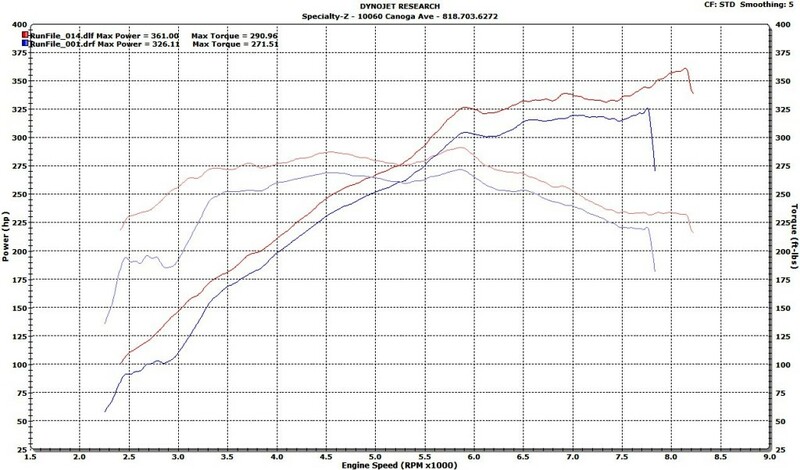 Z1 headers, test pipes, and catback 2.5″, 600cc fuel injectors, fuel rails, and Walbro fuel pump. Fuel system remains returnless. We started by getting a baseline on the setup and came up with our blue run results. 326 whp and 271 torque. Our red run is our tuned run on 91 octane making an impressive 361 whp and 290 torque. We switched fuels by going to ethanol and we picked up 10 whp peak. Since our bottom end is stock, upgrading rods and to a billet crankshaft would allows us to SAFELY run 9000 RPMs. This would get us very close to 400 whp! Our comparisons dyno graph. 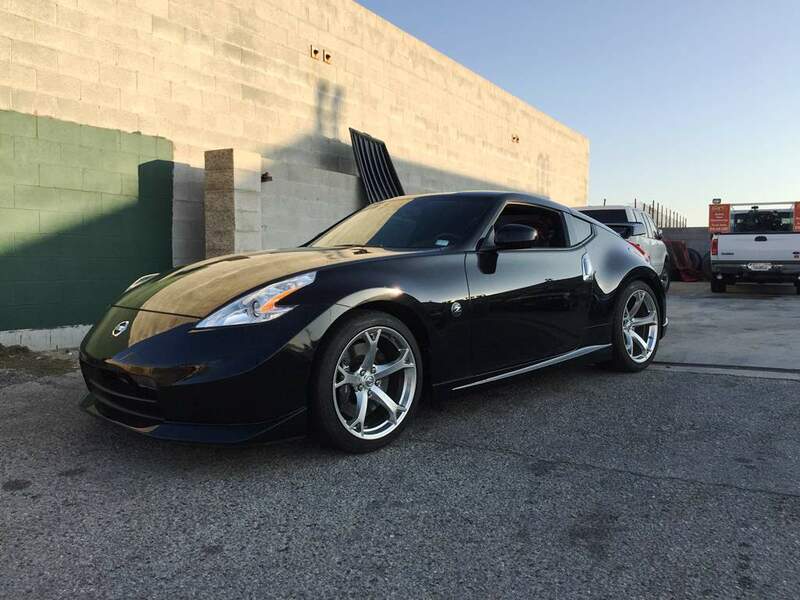 Your seeing both the 91 and ethanol tune for this engine plotted against a bone stock 370Z (green run), and your average 370Z with bolt-ons of catback, intake, and tune. 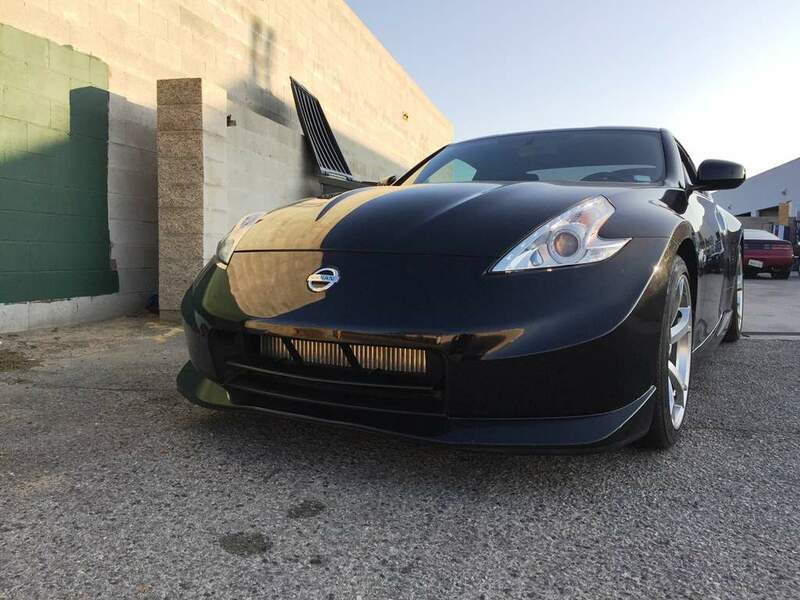 Tim’s Z made its way from Missouri to get a TT kit from Fast Intentions. This particular kit (optional) received HTA-68 turbochargers with Tial’s Alpha compressor housings. 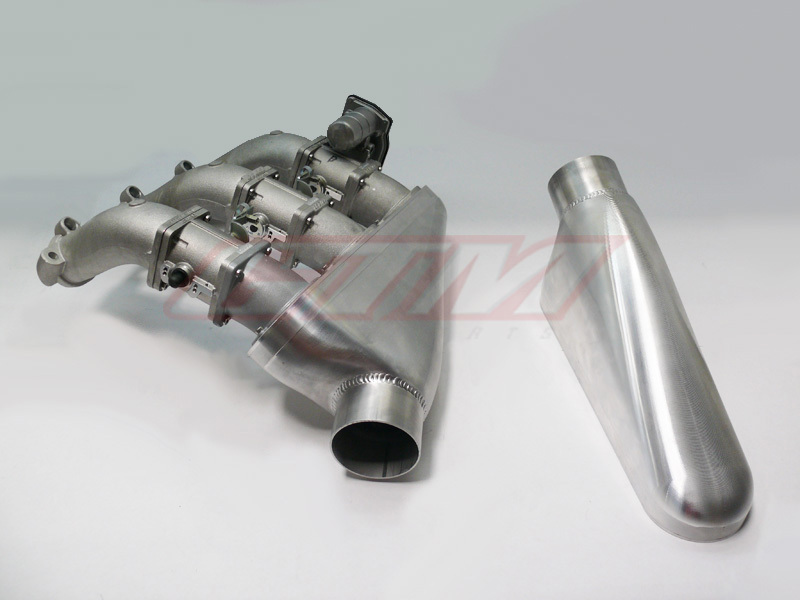 A full Fast Intentions exhaust is used with 3″ down pipes, high flow cats, and 3″ resonated catback. An SZ Max Street Clutch & Flywheel Kit was also installed to ensure power gets to the tires. 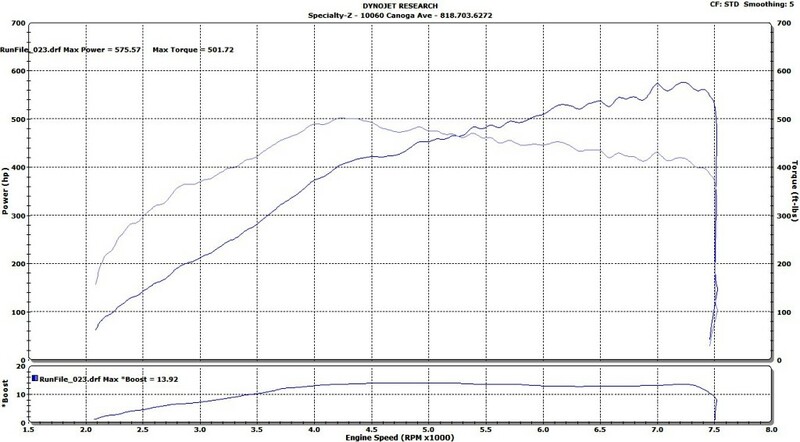 A Greddy Profec Boost Controller along with the Tial External Wastegates (standard hardware) control boost pressures. 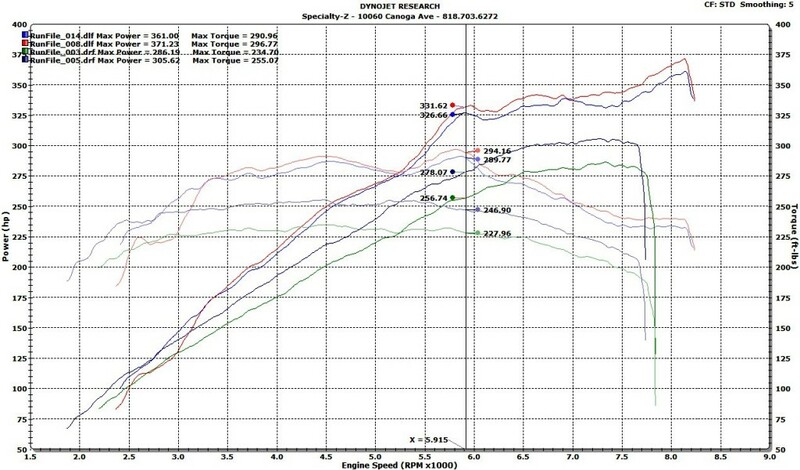 Off wastegate alone, the system makes 6 psi and since the state of Missouri uses 93 octane we could turn up the boost considerably even on this high compression engine. the HTA turbos don’t wake up until you get past the double digits of boost pressure. This makes them efficient and also makes very good power. Upon closer inspection one can distinguish the intercooler peering behind the spacious NISMO bumper. 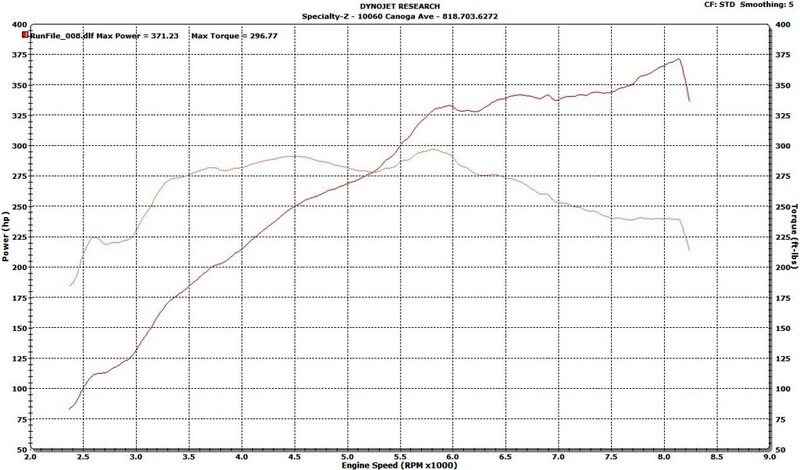 Tuned for 93 octane fuel, for 575 whp and 501 torque.